Waterfall Info: Lower Low Gap Creek Falls is the collective name assigned to a series of scenic cascades below the main waterfall on Low Gap Creek. The photo and coordinates are for the most scenic slide. Access Info: An unofficial trail begins on the south side of Low Gap Creek at a hairpin curve just past the second creek crossing along FS 44A near Low Gap Creek Campground. 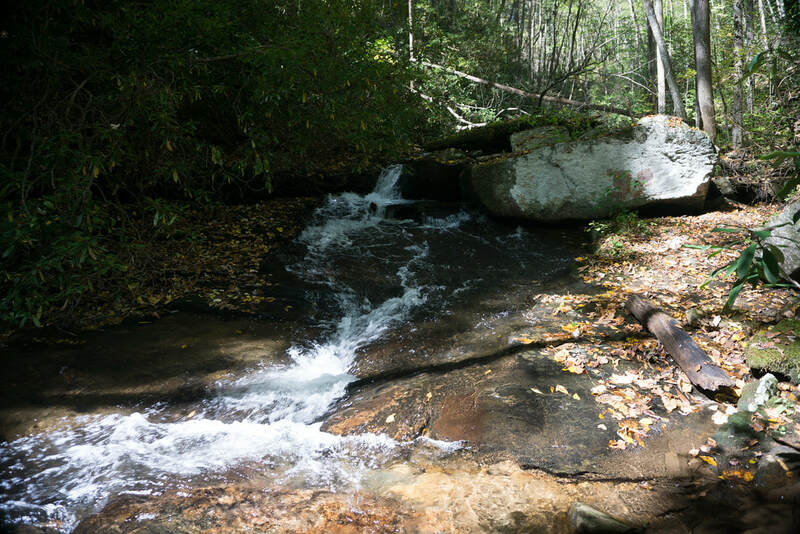 The faint trail follows Low Gap Creek upstream, crossing it once on its way to Low Gap Creek Falls and all the lower cascades.